Carlo Levi summed it up in the title of his (1945) book: “Christ stopped at Eboli”. It was a way of saying that religion and civilisation had never arrived in the heel and toe of the Italian peninsula. At the time Italy’s deep south was believed to be a land inhabited only by brigands and outlaws, a land without culture or customs, looked down on by the rest of the country. On our expert-led cultural tour you’ll discover an Italy that time forgot. The northern Italians did have a point — this region was so desperately poor that even in the 1960s there were people livin g in caves in the town of Matera. When Levi was sent into exile here under Mussolini, malaria was endemic and poverty was on a scale that shocked the entire nation when his book was published, finally compelling those in power to attempt to do something. And yet, as Levi is at pains to illustrate, even with its intense poverty, this remained a land rich in culture, history and traditions. Colonised by the Greeks this region is still home to the world’s best preserved Greek temple and two of its very finest bronze statues. 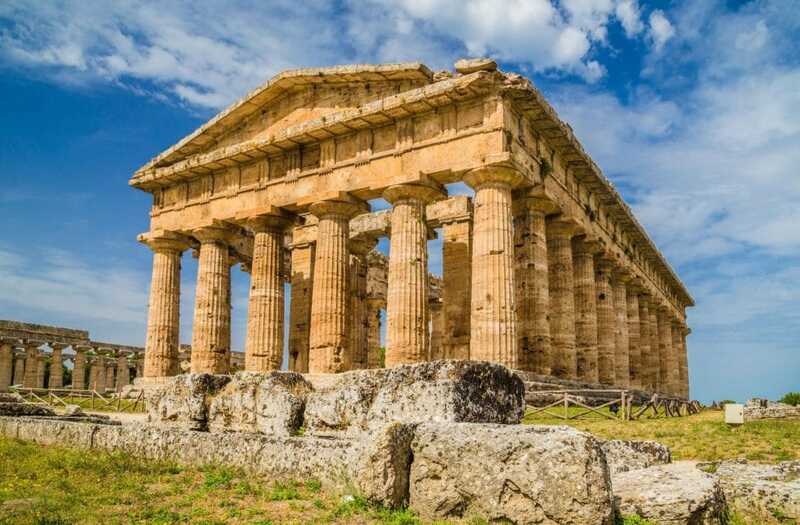 The Romans called it “Magna Graecia”, or “Great Greece’– and even today, one has the sense that the prevailing culture in this part of the world is Greek. The landscape is peppered with Greek remains, the physiology and character of its inhabitants is undoubtedly more Greek than Roman, and many of the place names and the dialects are more Greek than Latin. Even the wine betrays its Greek origins. The most predominant grape is the Aglianico – derived undisputedly from Ellenico, meaning “Greek”. Although Carlo Levi’s account of Basilicata in the 1930s is perhaps the most famous, he was not the first European to write about it. In the 19th century, English travellers such a Edward Lear documented the territory in a series of charming sketches and paintings. A few years later Norman Douglas wrote a fascinating travelogue, documenting all manner of strange myths and improbable customs — including the tale of a flying monk. Travel through Basilicata and Calabria in those days was not without its discomforts — at least for those unable to levitate — but thankfully these days much has changed for the traveller, and on our small group tours we have a lovely collection of small hotels and family-run restaurants. So why not join us and come discover this most “greek” corner of Italy?